Who doesn’t love a frothy, milky, coffee flavored drink?!! Well, I absolutely love them and now that I’m starting to feel a touch of Spring in the air (it’s no longer 20 degrees every day!) I decided to go back to some of my favorite cold drinks in the morning. Now, don’t get me wrong, I still enjoy my hot cup of coffee, but lately I’ve been having fun with my healthy version of a Frappuccino! 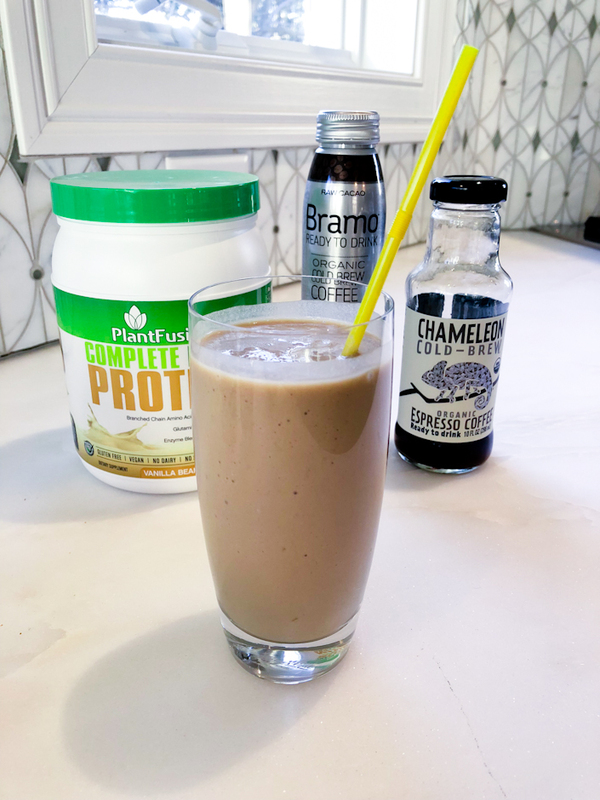 My take on the famous drink is not only healthy, but super filling due to the added protein, unlike some of the other options out there. Please beware of the hidden calories and sugar when ordering your favorite coffee drink…you’ll be blown away when you start paying attention!! 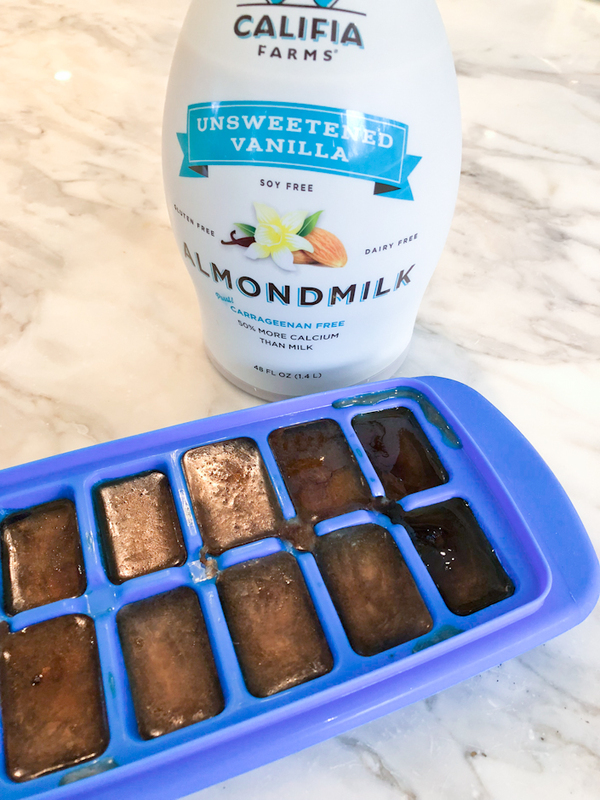 First, I like to take cold brew coffee, such as Chameleon, Bramo or Stumptown and pour it into an ice cube tray and freeze. Of course you can make your own delicious coffee, let cool and pour into the ice cube tray as well. Once the “coffee cubes” are frozen, you can proceed with the recipe! 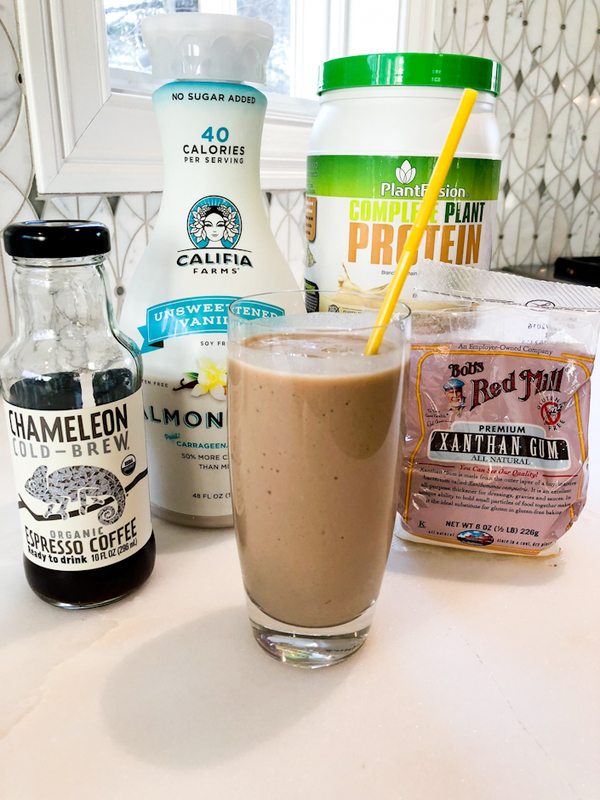 In a blender, add 1 scoop of vanilla plant protein powder or any protein powder of your choice, along with almond milk, cold brew coffee, coffee ice cubes and a touch of xanthan gum. The xanthan gum is the secret ingredient to making the shake super frothy and whipped in nature. Be careful not to use too much!! You only need about 1/8 tsp. Feel free to use a chocolate protein powder for a coffee/chocolate flavor and maybe a banana for extra creaminess! Sometimes, for extra fiber and nutrition, I’ll add a large handful of baby spinach, but it does change the color of the smoothie slightly. Blend together on high and voila!! 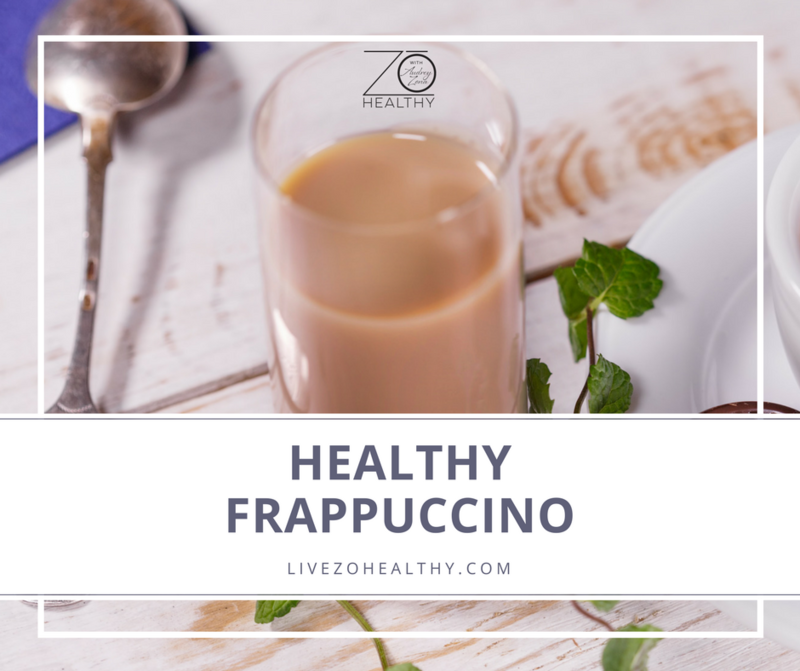 I hope you’ll give this healthy Frappuccino a try! It’s the perfect post workout breakfast or even an afternoon snack. As always, if you have any questions, please reach out to me…I love to hear from you! Add more water or almond milk to desired consistency.